Inksville is a graphic design business located not too far from Sage One HQ, here in Newcastle upon Tyne. They were kind enough to let us visit them for the day to find out a little more about their business. The company is owned and run by Malk Elliot and specialises in producing graphical t shirts, vehicle decals, banners, signs and more, with sales conducted through their eBay store and also through the Inksville website. Having previously worked for a larger organisation producing sportswear, Malk had had enough of the office politics and decided to leave. Taking the plunge he set up his own business alongside wife June. A typical day for Malk involves firstly checking the overnight orders received and ensuring there is enough stock to complete the orders before checking the business bank account to track the business cash flow. After this, Malk moves on to the aspect of the job he loves – designing. 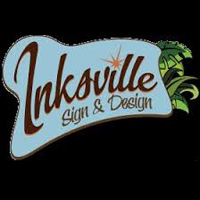 We were interested in finding out what kind of hurdles the business faced when Inksville was starting-up. Interestingly, Malk told us that the major stumbling block for him was sourcing financial backing from the banks and after many attempts he resided to the fact that he simply wasn’t going to get the backing he’d hoped for. So with no other options, Malk and his wife June decided to self-finance the business. Malk feels that managing the cash flow through the business is a crucial aspect to success and enables the business to stay alive. As such, they don’t offer credit terms to clients but opt to take payments up front. Inksville use Sage One Accounts and we asked for Malk’s thoughts on using the online service to manage Inksville’s finances. Recommended to Malk as an easy to use Accounting service by his accountant, Malk told us that for him “finances are a big bug bear”, but he understands that it’s an important business process that can’t be avoided. “We were advised to use Sage One Accounts and it’s perfect for me as it’s so easy to use”. Not uncommon to a lot of small businesses, Malk went on to explain that most challenges he faces around his business finances are related to VAT. Malk now feels like he’s gained more control over his VAT and it’s become easier handling the cash flow since using Sage One. “The numbers don’t confuse me anymore with Sage One Accounts”.